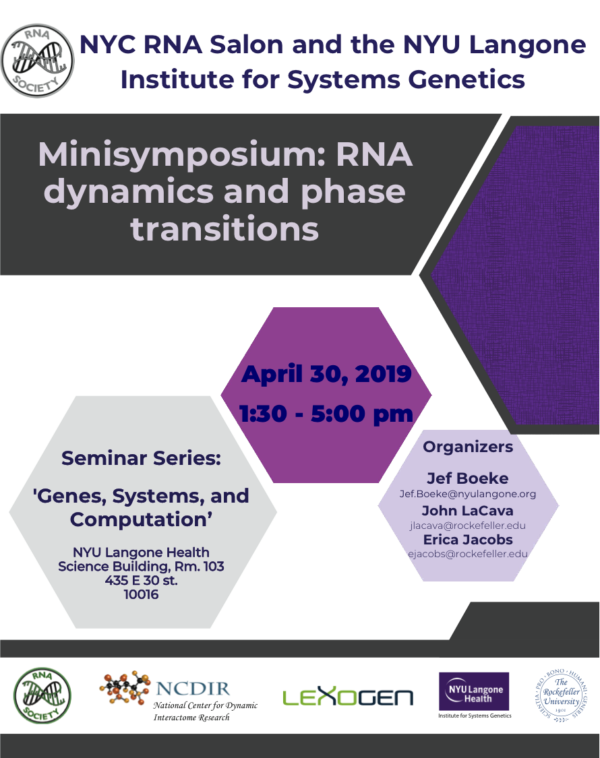 The mini symposium is open to the public! No registration required. Location: New York University, NYU Langone Health Science Building, Rm. 103 435 E 30 st.
Click the image below for more details including the list of speakers and abstracts.